ATTENTION Embroidery Business Owners: Do You Bring In Enough To Pay Yourself A Good Paycheck? A Customer comes in and wants a price quote and he is in a hurry. You have no idea how to give him a price when he is standing right in front of you! A customer brings in a dozen shirts that he purchased at a discount store and wants them embroidered in a hurry. You have to work up his design and he is resisting the set up charge. How do you handle this? The fact is you are not alone, I hear it all the time! 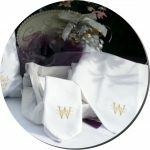 As a former owner of a profitable embroidery business, she is now in the business of helping you start your own profitable embroidery business or help you take your current embroidery business to a higher profit level. 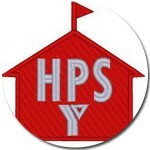 She has spent over a decade helping other embroiderers get started and increase their profits. 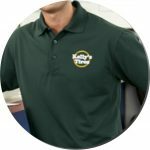 Embroidery can be a very lucrative business when you have the right systems, approach, and tools in place! Building An Embroidery Business Is Not Easy When You Have To Do It Alone! It can be exciting and overwhelming at the same time! There is so much to do, so much to learn and so many areas to prepare for before you can even open the doors for business. Following this step by step embroidery training will give you a firm foundation, shorten your learning curve and will begin to set you up for success. You will be up and running quickly! Introducing: The Gold Plus Level of “The Embroidery Training Resource Center!” This is the Next Step in the Foundation of Building a Successful Embroidery Business! Inside of Embroidery Basics, you will find multiple videos in each category on where to learn the basics of how to hoop your garments, Design Placement and more. 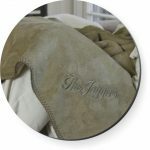 Embroidery Backing & Toppings – You are given very specific guidelines for selecting the right backing/stabilizers to use for each of the different fabrics. Embroidery Placement – A Placement Chart for the Left Chest or Right Chest embroidery design applications and Guidelines are given for placement for all of the most popular applications on garments as well as linens! I give you simple step by step instructions on how to repair those horrible mistakes that we all try so hard to avoid! Unfortunately, everyone makes a mistake now and then, but you need to know how to save those expensive garments when mistakes do occur! Repair almost any mistake instead of starting from scratch! Sometimes you have garments that cannot be replaced! It is very important to have the skills to be able to fix these mistakes just in case you have items that customers have brought in to you and you do not have any way of replacing these items! If you will spend 20 minutes per day in my programs learning how to create those WOW designs, you will be able to develop the skills that you need to make it happen! 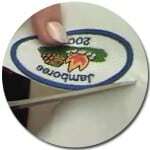 These videos will give you the skills to tackle embroidery jobs that you previously had to turn down. The skills learned from these videos will greatly increase your monthly revenue! 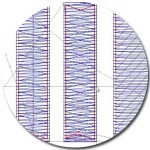 When I say Design Creation Basics, I do not mean digitizing. Within these videos, you are going to learn a lot of editing skills and it is extremely important to know how to edit and make your designs production friendly! You will learn those skills inside of these videos! 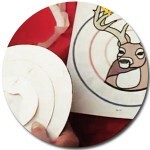 Puff or 3D Foam Embroidery – Puff embroidery on caps is easy when you have the right instructions. I show you a simple method for applying the puff or foam embroidery on caps. If you want to create a single block letter on a cap, I give you Step by Step instructions showing you how to create the file for your puff embroidery design using your basic stock block embroidery font lettering that you have in your software. For most designs, it is best to have the file digitized by a professional and then you will follow this simple method for applying the foam. 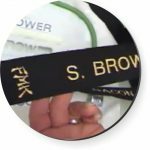 How To Embroider Small Letters – Small lettering can be an issue for many people especially when they are first starting out with their embroidery business. I show you how to create small lettering that will sew out great on any type of fabric. I even give you the right settings to use for your lettering designs. I use the Pulse software but these same settings will work in any embroidery design software. The names of your tools may not be the same as mine, but your underlay, pull comp, and density settings will be present in your embroidery software. Understanding Embroidery Push & Pull Compensation – Every stitch type and segment of our design needs push or pull compensation added for high quality. Understanding Push & Pull Compensation is extremely important and is one of the basics of every design. I teach you exactly what your settings are that you should apply for your Pull Compensation and show you the difference in your push and pull compensation and I also teach you what settings to use for the different types of fabrics. 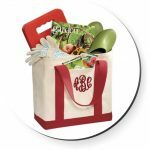 How To Create Monograms – This is a full program teaching you how to create 1, 2, 3 and even 4 letter monograms using your standard embroidery fonts that you will find in your embroidery software and true type fonts. 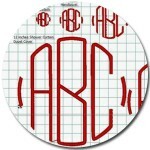 I show you how to create full sets of monograms ranging from 12 inches down to 1.5 inches. I also include a beautiful Medieval Font that I created for you. I offer it in many formats so that it will work in your software. 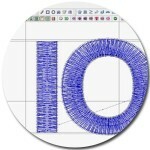 I also include 2 true type fonts that can upload into your software that makes beautiful monograms. 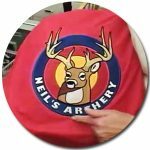 How To Create Embroidery Design Templates – In this program I teach you how to create basic left chest sized, jacket back sizes and cap design templates. This will save you a lot of time and once you have your templates created, all you have to do is change the letters, tweak the spacing and your design is ready to sew out. You can create your basic lettering designs in a very short time when you learn how to create these templates. I even include a chart with all of my settings on it. 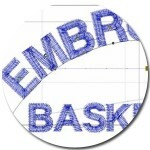 How To Create Embroidery Designs Using Letters & Shapes In Your Embroidery Designs Software – In this program, I teach you how to edit fonts and shapes to create embroidery designs and lettering to match your customer’s logo. I show you three different types of designs and teach you, step by step, how I created each one so you will know how to do it. The first design is done with shapes and stock embroidery lettering. The second one is with stock artwork and a true type font. The third is done with a very narrow true type font that requires a lot of editing techniques. These videos will give you the skills to Plan out your Embroidery Business, Price your Embroidery product correctly and learn how to Market your Embroidery Business! These skills are going to help you move your Embroidery Business to the next level! These strategies will give you the skills to organize and create a profitable Embroidery Business! Embroidery Business Forms – You will receive all of the basic Business Forms that you need to run your business such as Customer Order Forms, Supplier Order Form, Embroidery Design Quote Form, Design Approval Form, Release Form, Log in Form, a Packing List and much more! These forms are all given to you in an Excel format so that you can customize them to fit your business needs. Embroidery Production Forms – You will receive the basic Production Forms that will help you to keep your workflow going smoothly such as Embroidery Machine Scheduler, Embroidery Design Worksheet, Embroidery Production Sheet, and Embroidery Spoilage Report forms. 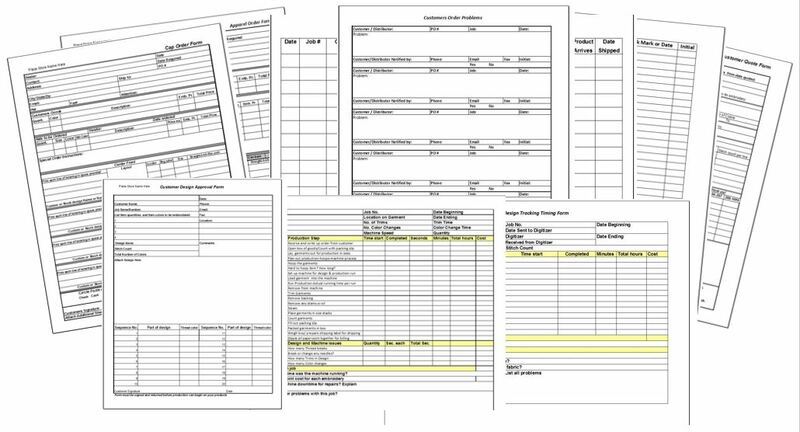 These forms are all given to you in an Excel format so that you can customize them to fit your production needs. Embroidery Production Tracking & Scheduling System – This is a combination log in, production tracking, and scheduling form. You will be able to track and schedule each job and know exactly how long the job is going to take. You will even know how many hours of embroidery work you have in house at all times. Embroidery Business Marketing System – This is a full program teaching you how to market your business offline and online. I teach you how to organize all of your products and how to set up your website as well as your entire marketing system so that you will be able to reach and follow up with your market. 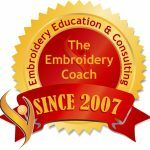 I want to thank you for all of your hard work and for the incredible amount of invaluable information you offer to new and established embroiderers. You are amazing! I just had to drop you a quick line to let you know how thrilled I am having access to your How To Price Program! 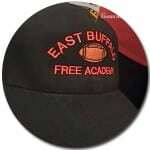 What a great program! I started my business in 2006 and believe me, I’ve done a lot of research over the years. Once we moved out of our home into a retail location, things changed dramatically. I have sat in on several classes over the years on how to price embroidery. Each of them had their own twist, but basically, they all had the same information for the calculations, so when I saw your program, I figured that it was just more of the same information so I passed it over. We have been struggling financially and it wasn’t until the gal that does my invoices told me for the 100th time that I was not charging enough, that I decided to take another look at it. I thought I knew the formula. Now that I have your program, I know how wrong I was! It is so much more comprehensive than any of the others I have tried. Yes, the core of the calculations is the same, but the additional variables that absolutely MUST be taken into consideration are built right into the system! Once you put your information into the base program, it creates your price list for you! It is a tremendous tool! The videos that explain the system really simplify the entire process. It is well worth the investment! 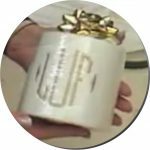 The “Gold Plus Level” is the perfect place to start if you started your Embroidery business and you want to move your Embroidery Business to the next level. The skills that you will learn from The Embroidery Coach will help your business grow and be more efficient for the rest of your life!